Wow, I live in Buderim (which is on the Sunshine Coast). Can’t believe there’s a book set here! My name as you can see is also Kimberley Freeman. I live in Canada and happened to be shopping at Costco in the states last week. While there I came across your book Lighthouse Bay. Simply because the book was written by an author with my exact name I bought it. I wanted to tell you that I think it’s fantastic. So thanks for sharing my name and for something new to read! Nice to meet you, Kimberley, though you are the REAL Kimberley Freeman as mine is a pseudonym. Glad you liked the book. Just wanted to tell you that I finished Lighthouse Bay tonight – did not have to stay up all night, just a few extra hours. I loved it! Mystery and intrigue and romance – and the sea. I tend to buy any book that’s got water on the cover – love the romance of it! Also read Wildflower Hill – your books are delightful! Thanks, Barbara. Glad you enjoyed it. I loved this book! I read the first part of the author interview where it talks about a journal account of a shipwrecked man who survived with his wife and dog in Australia, which was the basis for some of the details about the wreck. I was so curious to read more about this; it sounds so interesting! Anyone know how I could get more info? Of course, you’d have to find it at a library a bit closer to you! Thank you so much! I get where “Seaward” came from :). Please don’t ever stop writing books, I love them! 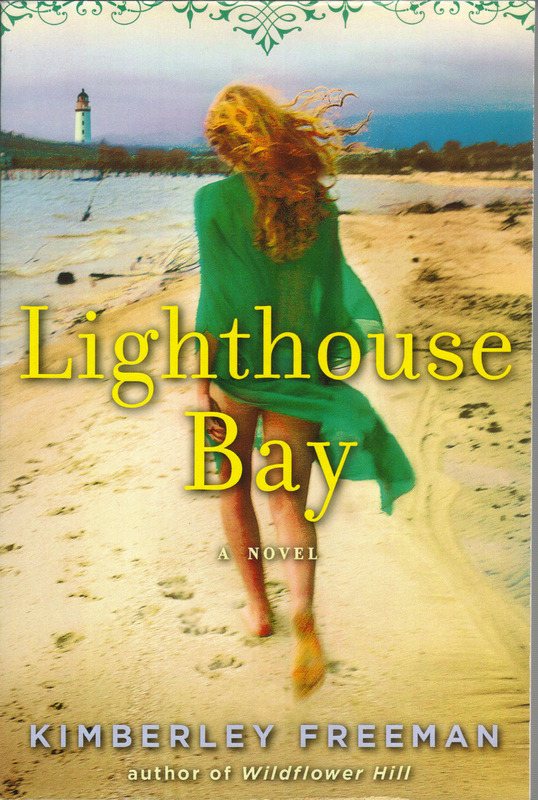 Have just read Lighthouse Bay and really enjoyed it but have to tell you a little story. My husband and I have just been on holiday to Brisbane to visit friends who emigrated there 23 years ago. Their names are Cheryl and Andy and they have a son called Matthew. We met at work and had a colleague called Mr Barrett and my sisters name is Rachel. We visited Noosa, Sydney and Melbourne. I couldn’t believe all these names and places I know. I have now just read about you on your web page and found that you lived in Redcliffe which we also visited and is one of our friends favourite places to go. Thank you again for a great story and I have got Cheryl to order it from the library but not told her the reason why. That’s brilliant! im glad you enjoyed the book and the locations! Ember Island is set on Moreton Bay (the bay you look at from Redcliffe) so maybe you can try that one next. I often go to the library and randomly choose a book. I picked up Lighthouse Bay this week and I have just finished it. What a wonderful read! I will be picking up more of your books the next time I go out…..